Choosing a career path is never easy. Even if you know being a “Software Engineer”, “Quality Assurance Analyst” or “Scrum Manager” is your dream, we bet you have tonnes of questions about what the job actually entails. To reach out, talk to and provide top advice to students, SOLIDitech will once again be taking part in the 2018 University of Cape Town’s Careers Festival. Come and visit our stand, bring all your friends and questions along, and WIN SOME PRIZES. We’ll have SOLID Staff ready and eager to share their experiences and knowledge with you. 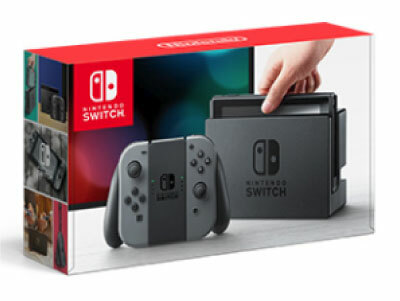 Grand prize: This year’s grand prize will be a Nintendo Switch. Make sure to visit our stand to find out how you could get your hands on this awesome prize. 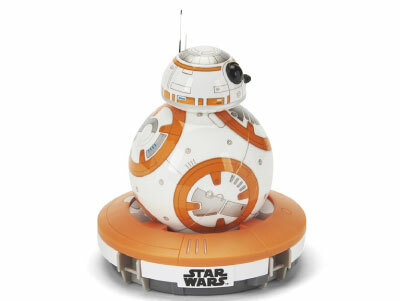 Lucky draw: An on-the-day draw for a Sphero BB8 Droid. Why should you come find us? We’re SOLIDitech. We build some pretty cool business automation software for real life businesses where we get to help our customers solve real operational challenges. We’ve been doing it for 13 years and have an experienced team. We Revolutionise: Working at SOLIDitech is a work-directly-with-the-customer-on-something-that’s-never-been-done-before type job. We’re Constantly Learning: It’s important to us that each of our staff grow as working professionals – to be the best he/she can be. We have Fun: We’re always finding fun and inventive ways to get the team together to chat, mingle and relax. We’re more than a few job titles – we’re Nando’s lovers, sports fans, anime geeks, book lovers, musicians, artists, parents, chefs, bakers and Netflix surfers. We’re from all over the place, believe in all sorts of things and enjoy working together. Level up your career at SOLIDitech: We are Graduate-Friendly and actively recruit straight out of Varsity. Yes, for a real job that actually pays. We also have a SOLID Work Experience Program (vac work), which we run twice a year during the long Varsity holidays. Getting your first job straight out of varsity can be terrifying, not to mention difficult. Apply what you learn with us as the foundation of your career with real world experience and something awesome to put on your CV. Don’t forget to follow us on Social Media (Facebook, Twitter, Google+, LinkedIn) for details and updates leading up to and on the day – we’re excited to meet up with you all.